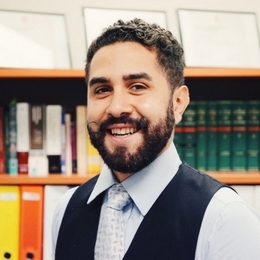 Jahan Kalantar is a Sydney-based solicitor, university lecturer, and entrepreneur who describes himself as a ‘little guy lawyer’. He attributes his human rights leanings to his proud Persian heritage, a dislike of bullies and a genuine belief that one person can make a difference. Leaving a successful career in finance in order to pursue law, he was admitted to the NSW Bar Association at the age of 25. Subsequently he established and became a partner at the firm of Executive Legal where he heads up the serious crime and mental health practice. Jahan appears on behalf of people kept in mental health facilities involuntarily, refugees seeking asylum and individuals accused of heinous crimes. He regularly lectures on administrative law, evidence issues and control of government action.